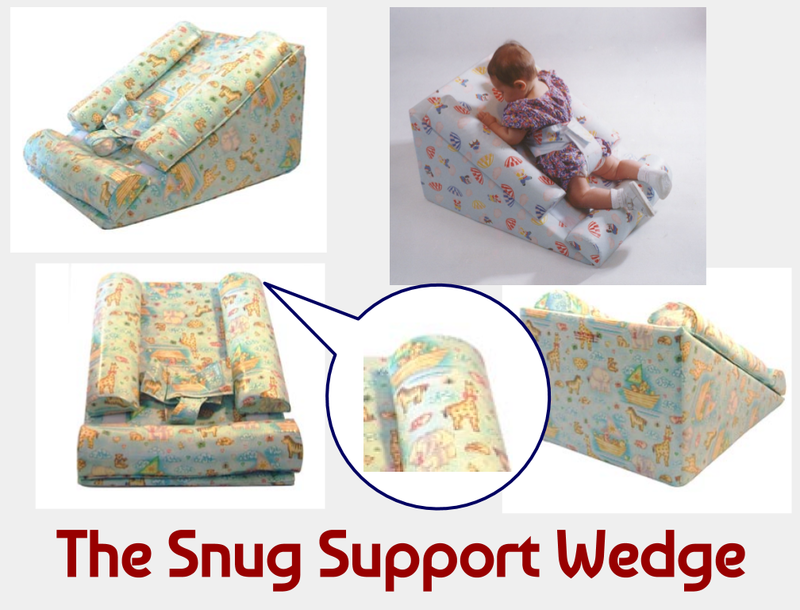 The Snug Support Wedge Positioner is designed for infants up to 30 inches long. It places the child at a 30 degree angle just right for stimulation, relaxation, and feeding. The angle is also appropriate for children with gastroesophageal reflux. The wedge includes a hook and loop fastening waist and crotch belt and three adjustable bumpers for support. The wedge is covered in a colorful, polymer coated fabric for easy cleanability.